This is a genius invention! 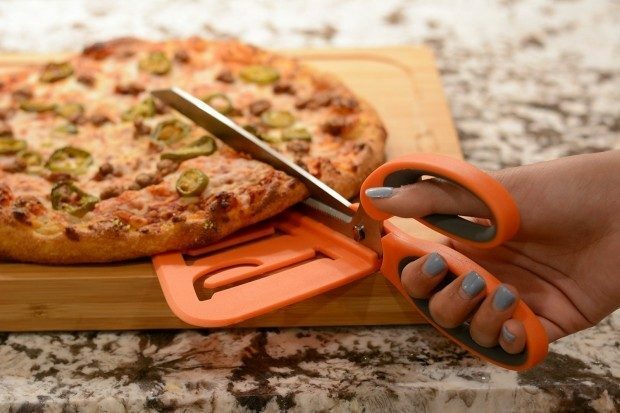 Head over to Amazon to order the Kitchen Maestro Pizza Scissors for Just $11.99! (reg. $30) Shipping will be FREE with Amazon Prime or an order of $35 or more. This Kitchen Maestro unique design, makes pizza slicing a breeze. Just slide the spatula tip under the pie and cut away. Durable stainless steel blade provides a sharp, long lasting edge. Comfortable grip handle. Dishwasher Safe, FDA approved, BPA free.